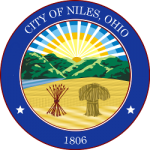 The responsible of the Housing and Zoning Code Enforcement Officer includes the enforcement of the City’s ordinances pertaining to the Housing and Zoning Codes. This includes rental property registration, issuance of Dwelling Permits and the inspection of all rental properties. This department also issues all Zoning Permits and oversees the Board of Zoning Appeals and the City Planning Commission meetings. (a) A dwelling permit shall be issued for residential non-owner occupied dwelling units as required in this section by the office of the Housing Maintenance Code Enforcement Officer. (b) REQUIRED FEE No dwelling unit shall be occupied by any person other than the owner thereof without a residential non-owner occupied dwelling permit certifying that the dwelling meets the provisions of this Housing Maintenance Code. (1) No initial permit shall be issued without an inspection of the unit by the Housing Code Maintenance Officer or his designee to assure compliance with requirements of this Housing Maintenance Code. In addition, an initial permit fee shall be paid by the owner for each dwelling unit. Should the number of dwelling units within one complex exceed twenty (20), a permit fee of fifty dollars ($50.00) shall be paid for one permit provided in this section for that dwelling, and a permit fee of thirty dollars ($30.00) shall be paid for each remaining permit provided for in this section for the remaining dwellings. (3) No permit shall be issued for a dwelling unti subject to this section without certification after inspection that the requirements of this Housing Maintenance Code have been complied with. 1131.02 REGULATIONS FOR ACCESSORY BUILDINGS. (a) No accessory building shall be used for the conduct of a business or industry therein. (1) Detached private garage on the same lot as the principal building. No part of any such private garage shall be used for residence purposes. (2) Storage building or structure, including a green house, pool house, gazebo and similar structures. (c) Accessory buildings may only be located in the rear yard. (d) The area occupied by all permitted accessory uses shall not exceed the lesser of twenty-five percent (25%) of the rear yard, or 1,152 square feet. In no instance shall the floor area of any accessory building exceed the ground floor area of the principal building of the lot. (e) Any permitted accessory use must be located at least two feet from any lot line. (f) Private garages (attached or detached) are further limited, so that total garage area shall not exceed 1,152 square feet in floor area. (g) Storage buildings or other permitted structures are further limited so that only one such structure can be placed per residential parcel, except that one additional structure may be added provided it is not used for storage and its purpose is part of landscaping or recreational use, such as a patio, hot tub, gazebo, green house or similar structure. Metal storage buildings permitted under this subsection may not exceed 100 square feet. Other building or structure permitted under this subsection may not exceed 200 square feet. (h) The minimum pitch for the roof of an accessory building shall be 4/12. The maximum height of any accessory building shall not exceed 15 feet from floor level to the roof peak. (i) In the case of a corner lot, no wall of an accessory building shall be nearer to the side street line than the side wall of the main building. If the rear of a corner lot abuts on a lot with the principal frontage on the side street, the accessory building on such corner lot shall be setback from the side street line a distance of not less than twenty-five feet. (j) Swimming pools shall not be considered an accessory use, but shall remain five feet from any property line, and a five foot “green area” shall be maintained around them. No swimming pools may be placed in front of the building setback line. (k) Canvas free standing structures other than for extraordinary uses as permitted by zoning officials shall be prohibited as accessory buildings. No new metal free standing structure other than a metal storage building not exceeding 100 square feet shall be permitted as an accessory building. Existing canvas free standing structures in violation of this subsection must be removed within one year of the effective date of this section. SMOKE ALARMS REQUIRED: In order to protect the occupants of rental units located throughout our City from fires and to reduce the chance that a fire will start, at least one (1) fully operable, properly installed and appropriately placed smoke alarm must be on every floor of the structure , including the basement. IF THE RENTAL UNIT DOES NOT CONTAIN THESE DEVICES, THEY MUST BE INSTALLED IMMEDIATELY. STAIRS/HANDRAILS: Every inside and outside set of stairs shall have a handrail firmly fastened, capable of supporting normally imposed loads, and shall be maintained in good condition.